Laurie K. Miller is a Member in the Health Care industry group, focusing primarily on health care litigation including medical malpractice, nursing home and pharmaceutical and medical device products. She is also experienced in commercial litigation, class actions, and product liability litigation. She has devoted a substantial portion of her practice to mass litigation, multi-district litigation, and class actions. She practices out the Firm’s office in Charleston, West Virginia. Laurie loves that her practice has given her the opportunity to meet and engage with such an interesting array of clients from various industries. Her favorite part of her day-to-day activities is working with witnesses to prepare for depositions and trials. She knows how important it is to prepare clients and witnesses for stressful situations while also putting them at ease with the process – something at which she excels. She even claims to find joy in the discovery process, which, given its tedious nature, means she’s truly found her calling. Her well-rounded personality and work ethic give Laurie the ability to effectively represent her clients, collaborate with the Jackson Kelly team, and dedicate time for service to her community. Laurie is very active within the civil defense bar. She has been a member of DRI since 2002 and is currently serving on DRI’s prestigious Law Institute. 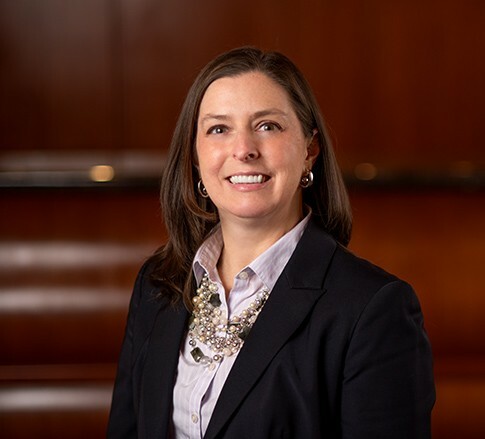 She has also served as program chair for several DRI seminars and on several Annual Meeting steering committees including serving as the Blockbuster Program Chair for the 2017 DRI Annual Meeting. She is a proud member of DRI’s Women in the Law, Medical Liability, Products Liability, and Drug and Medical Device Committees. When she isn’t preparing witnesses, drafting briefs, answering discovery, or volunteering her time to DRI, Laurie can be found sifting through photographs for scrapbooks, crafting new DIY projects, or baking delicious treats in the kitchen. A regular traveler, Laurie has had the opportunity to swim with dolphins and waddle with penguins.